The nasty creatures – fleas and ticks are the great annoyance to dogs and cats causing a gamut of skin diseases along with other secondary preventive diseases. Whether it is flea allergy dermatitis, Lyme disease, tapeworm infection or Mountain fever all these conditions are caused due to these blood sucking creatures. And, to protect dogs and cats against these critters, manufacturers industriously design and develop advanced and long lasting flea and tick treatments. They pass through rigorous tests held in varied conditions and are filtered through the funnels of government’s quality and safety measure agencies. 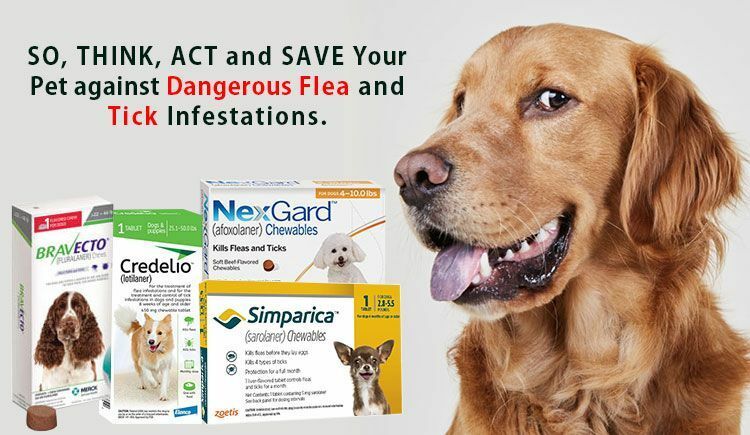 Consequently, these flea and tick preventive treatments, labeled with wide range of safety margin, enter the market to help pet owners protect their furry friends against the vicious cycle of flea and tick infestations. Although these more advanced and highly effective flea and tick treatments have passed through numerous tests and have been stamped as completely safe for the use in pets, recently, FDA warns pet parents and veterinarians to consider the treatment before administering to their dogs and cats. But WHY? 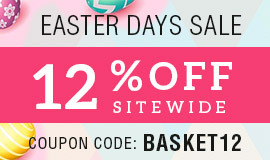 Let’s decipher in detail. FDA informs pet parents and the veterinary community to be aware of the potential neurologic adverse events in dogs and cats when treated with flea pills that belong to isoxazoline class. Considering the recent reports regarding usage of these drugs coming fore through varied sources, the agency and manufacturers of isoxazoline products are working collaboratively to bring in the new label with added information that highlights neurologic events for these products . Concurrently, the agency has also approved Bravecto, Nexgard, Simparica and Credelio after careful review of the studies and the additional data related to safety; and declared the products continue to be safe for most animals. NOW, What Every Pet Owner Should Know? The FDA approves and affirms that the products belonging to Isoxazoline class to be safe and effective for dogs and cats. However, the agency ensures that the manufactures provide the safety measure details and information to veterinarians and pet owners to consider before choosing the flea and tick products for their pets. Which products belong to isoxazoline group? These clinically proven products have passed through the rigorous safety measures and have been approved for the treatment and prevention of flea infestations. Not limited to just flea infestations, these products have the potency to treat and control tick infestations. Many pet owners may be in a quandary about the measures they should take if they find their pet has an adverse drug event while using an isoxazoline product. Read More: NEXGARD ADMIRABLE & AFFORDABLE FOR YOUR PETS! Here are the steps that you can follow, if anytime, you find your pooch is reflecting any kind of abnormal signs such as severe vomiting, lethargy, loss of appetite, diarrhea or flatulence. If your dog or cat shows any symptoms while using an isoxazoline product, first talk to your veterinarian. Although the FDA monitors the adverse drug events continuously for these products, it encourages pet owners and veterinarians actively report about the events having negative effects. The affected pet owners can easily report to drug manufacturers, or directly to the FDA without any hurdles. With all this said, let’s see how safe are these products? 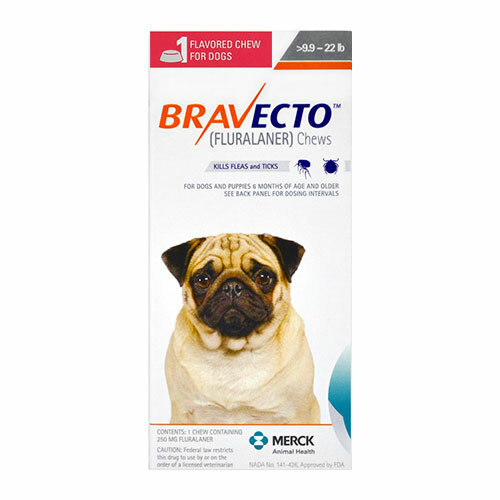 Bravecto – a chewable flea and tick treatment is specially designed to control flea and tick infestations in dogs. 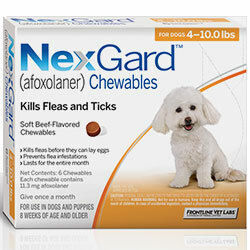 Developed with the active ingredient – Fluralaner, a component from an isoxazoline group, has 100% effectiveness in killing fleas and ticks including American Dog ticks and Brown Dog ticks. The product, though has certain safety measures, provides a myriad of indications along with the wide range of safety margin for use in pregnant and lactating mothers. The clinical studies about the usage of Bravecto state that the product needs to be cautiously used in dogs with the history of seizures or need your vet’s approval before starting the treatment. From the house of Merial – Nexgard is yet another popular and highly effective flea and tick treatment down the line. Ignoring certain limitations, the oral chew has 100% efficacy in protecting dogs against flea and tick infestations. Though the veterinary community has approved the safe usage of this product, they also suggest considering the medical history of the dog with seizures. 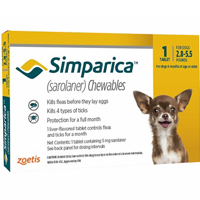 Is Simparica Safe for Dogs? Coming from the house of Zoetis, Simparica is an efficient flea and tick treatment providing a gamut of benefits to both dogs and pet parents. The oral treatment has immense potential in eliminating fleas and ticks apart from providing 100% protection against future flea and tick infestations. With the ingredient sarolaner belonging to isoxazaline group, many questions have been raised due to recent whirlpool of events regarding the safety concerns because of this chemical. However, the food and drug agency has considered it’s safety, it informs pet parents to consult a vet before its administration in dogs with sensitive health conditions and medical history of seizures, muscle tremors and neurological issues. 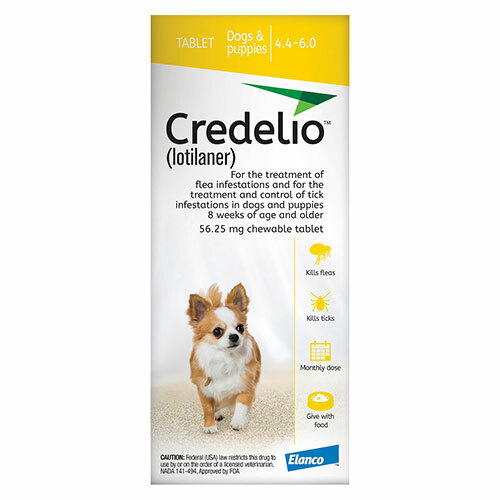 Is Credelio Safe for Dogs and Cats? A product by Elanco, Credelio has also joined the most popular flea and tick treatment bandwagon. With its range of benefits and potentiality to kill fleas and ticks, this oral treatment is highly palatable and easy to administer. Being new in the market, Credelio has to still prove its creditability among pet owners, though it has been successful in preventing flea and tick infestations in dogs and cats. Conclusively, using these flea and tick control products in your dog is safe as far as you follow the directions of usage properly along with considering your vet’s advice. A protection and prevention is 100 times more worth compared to the fatality caused due to the negligence of timely treatment. 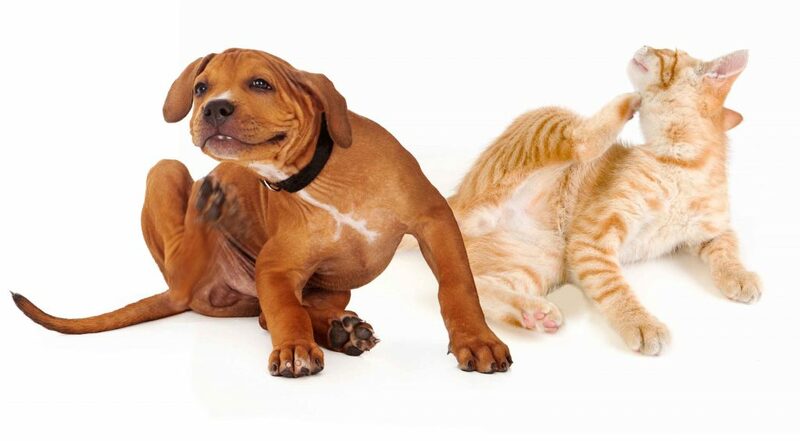 So, Think, Act and Save Your Pet against dangerous Flea and Tick Infestations.